What Is The Time Limit For A Work Related Injury? NEW YORK – Workplace injuries are often complicated – but they don’t have to be! Many injured workers ask our New York construction accident lawyers, What Is The Time Limit For A Work Related Injury? Legally speaking, each state has a law called a Statute of Limitations which tells an injured person how long they have to file a personal injury claim. Workplace injuries are no different. If the insurance company has already provided some medical benefits. If the employer has already paid for or provided medical benefits. The accident happened in a different state. 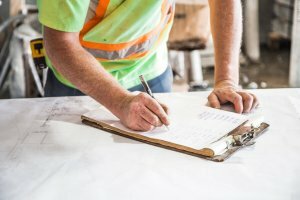 The New York construction accident lawyers at Cellino & Barnes say worker’s compensation is often complicated, no matter what state the accident happened in. If you’ve been injured on the job, talk to an experienced personal injury lawyer for FREE. If you have any questions about your injury, the insurance company, worker’s compensation. or state laws, our team is here to help 24/7. NEW YORK – More than 30 people were injured in a New York Bus Accident that forced authorities to shut down the Linocln Tunnel on Friday. According to FDNY, the accident happened during the morning commute in the center tube of the tunnel. Two New Jersey Transit buses collided, injuring dozens of passengers. At least seven people were rushed to area hospitals with serious, but non-life threatening injuries. Police shut down the inbound lanes of the tunnel to allow first responders to gain access to the accident scene. Investigators were also set to review surveillance video, according to NBC New York News. This week’s Lincoln Tunnel accident is just the latest of several recent high-profile accidents involving New Jersey Transit buses. According to a New York bus accident lawyer, an extensive legal investigation should be conducted help these victims gain closure, and find out exactly what happened to cause their bus to crash into another vehicle. be important for investigators to look at all possible causes, as that evidence could help victims get significant compensation for their injuries. 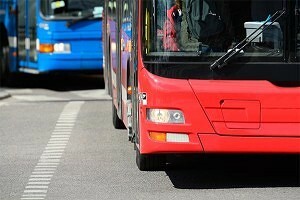 A says successful personal injury claims can also cause policy makers and public officials to make meaningful changes to improve bus safety, which can eventually help prevent similar accidents in the future. Follow this link to find more information on bus accidents. 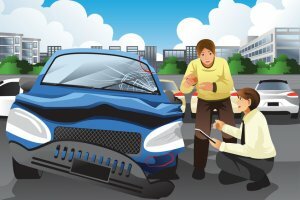 What Is A No-Fault Car Accident? NEW YORK – Every state has different rules for car accidents. In New York, lawmakers have tried to simplify the legal system with a set of rules often referred to as ‘No Fault Laws.’ Just because they’re called ‘No Fault’ doesn’t mean no one is at fault, though. So, What Is A No-Fault Car Accident? In most circumstances, a no-fault car accident is any car crash that happens in the 12 states that have no-fault insurance laws, including New York. Under no-fault car insurance policies, drivers do not need to prove who was at-fault to get compensation for their injuries. Instead, their own insurance company will pay a policy holder’s medical bills, lost wages and other costs associated with an accident. A Long Island auto accident attorney says there are many exceptions to these rules. Motorcycle accidents, for example, may not be applicable. In addition, no-fault insurance only covers the costs of a car accident injury. When it comes to physical damage to your vehicle, the claims process is still determined by who was at fault for the accident. In a car crash, Long Island drivers and passengers don’t necessarily have to engage in a drawn-out legal battle to get medical bills paid. However, no-fault insurance only covers up to a certain amount. Beyond that, you’ll still need to determine who was at fault for a crash. That’s why it’s important to get a FREE consultation with the experienced Long Island personal injury lawyers at Cellino & Barnes. Our legal team can go over your accident case for free, and help determine the proper steps to ensure you’re getting the best result possible. If you have any questions, like ‘What Is A No-Fault Car Accident?’ we can help you get answers. Call our Long Island personal injury attorneys today to see how helpful we can be! PARAMUS, N.J. – A New Jersey school bus accident sent more than 40 people to area hospitals after the bus collided with a dump truck on Interstate 80 Thursday. 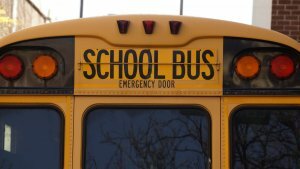 According to WNYC, a packed school bus taking kids on a field trip crashed on Interstate 80 in Mount Olive, New Jersey, killing a student and teacher, Jennifer Williamson of East Brook Middle School. Jennifer WIlliamson was 51 years-old. Paramus Mayor Rich LaBarbiera told reporters that Jennifer Williamson spent her entire career in the town, which is a tight-knit community mourning the loss of a beloved teacher and one student after the Paramus school bus crash. Police said there were 45 people on board at the time of the New Jersey school bus accident, 38 of whom were students. Some remain at area hospitals in critical condition. Officials didn’t immediately release details of how the crash happened, but an extensive legal investigation should be conducted, according to a New Jersey school bus accident lawyer. The trucking company that owns the dump truck has been involved in a string of crashes in recent years, according to federal safety data, including a number of violations that kept its trucks out of service for some time. In addition to examining the truck, it’s also important to take a look at the school bus, as mechanical issues and human error are not uncommon when these vehicles are on the highway. Many times, these claims can also sparking meaningful changes in public and private policies, improving safety for others across the state and country. These changes are often put in place so similar accidents, like the accident in New Jersey, can be prevented in the future. Follow these links to find more information on truck accidents, bus accidents and wrongful death claims. 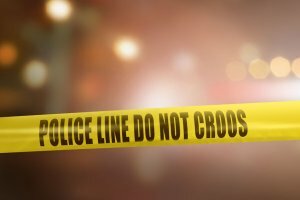 ELMIRA, N.Y. – A parked dump truck without a driver rolled down a hill and struck Barbara Velasquez, 48, of Big Flats. was walking her dog on Suburban Drive on Monday when they were both hit and killed by the unoccupied dump truck owned by Premier Landscaping of Elmira, the Chemung County Sheriff’s Office said. The Chemung County Sheriff’s Office has called for an accident reconstruction team to help investigate the incident that killed Barbara Velasquez. The Chemung County District Attorney and the New York State Police are assisting the investigation. According to a New York truck accident lawyer, the initial evidence public officials collect in their investigation will be crucial; but it’s also important to conduct a full legal investigation into the events leading up to this accident. A successful claim can also help create meaningful changes in our communities, and improve safety for others throughout Big Flats, the Elmira area and the rest of the state, so similar accidents like the one that killed Barbara Velasquez can be prevented in the future. Follow these links to find more information on truck accidents and wrongful death claims. 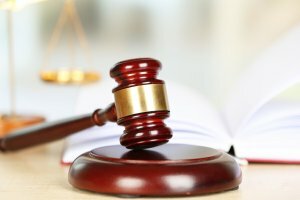 How Much Do Accident Attorneys Charge? NEW YORK – If you’ve recently been in a car accident, it’s a pretty good idea to hire an experienced Brooklyn car accident lawyer. The general assumption is that ‘lawyers are expensive,’ but many clients are pleasantly surprised when they ask the question, How Much Do Accident Attorneys Charge? Unlike many other types of legal services, the New York car accident lawyers at Cellino & Barnes handle things a little differently. The car accident lawyers at Cellino & Barnes do not charge hourly fees, unlike many other law firms. Instead, they have a ‘No Fee Promise,’ which means the personal injury firm will not accept any payments unless they win your case. This type of arrangement is considered beneficial for both the client and the attorney. Many attorneys work with similar contingency fees, which is a percentage of the recovery they’ve helped a client obtain. This percentage typically ranges from 30-40 percent, depending on the case. If your lawyer recovers $10,000, they will receive about $3,300 for their services with the standard 33% contingency fee. On the other side, if they don’t win your case, they don’t receive anything. If you or a family member has been injured in an accident, contacting an experienced New York car accident attorney is a crucial step that could help you save time, money and a lot of headaches. At Cellino & Barnes, the firm’s No Fee Promise guarantees clients they won’t owe a dime unless their NY accident lawyer wins their case. If you have any questions about the firm, its legal team, or the No Fee Promise, give us a call and we’d be happy to help answer your questions with a FREE case evaluation.